Picture from the Grow Your Own exhibit at Palais de Tokyo in Paris, France in 2007. This September, CascadiaNow! will be featured as part of an art exhibit being hosted by the CAAC (Centro Andaluz de Arte Contemporáneo) in Seville, Spain. The exhibition titled “Lo que ha de venir ya ha llegado” (What is to Come Has Already Arrived), will take place at CAAC from 22nd May to 21st September 2014. The project is being organized by Broolyn-based artist Peter Coffin (petercoffinstudio.com) and will also include his work ETATS (faites de vous meme) and it’s Micronations. Peter has put on two similar exhibitions about Micronations entitled “We Could Have Invited Everyone ” at Andrew Kreps Gallery in NY and “Grow Your Own” at Palais De Tokyo in Paris. Flags, declarations, examples of stamps, bank notes and coins, regalia, documents, ephemera and many other related items allow visitors to learn more about the rich historical and contemporary phenomenon of micronations. 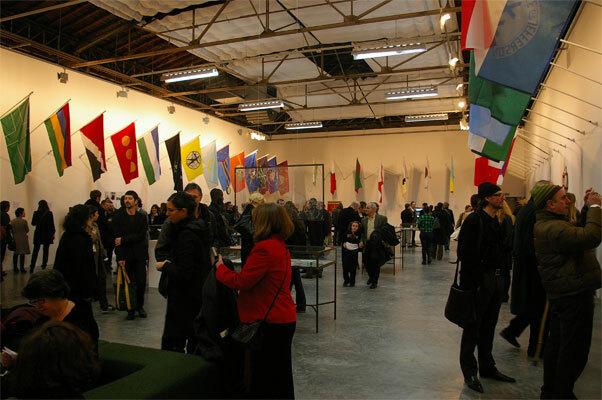 A Summit of Micronations took place at the New School University in New York in 2007, organized with Cabinet Magazine in conjunction with the exhibition. Overall, the experience has been a great success, attracted significant press attention, and received very positive feedback from audiences. CascadiaNow! looks forward to being a part of this new upcoming exhibit! Previous Article2014 Cascadia Poetry Festival – Registration Open! Recent Events Recap and Pictures!